On Monday morning, the 9th Grade Writing Class travelled to KAIS EMS to read their books to the younger classes. 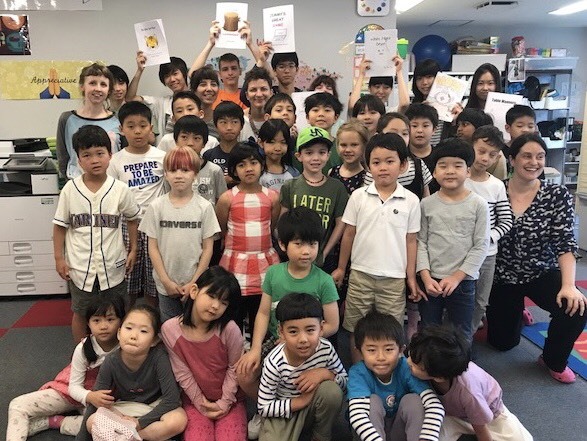 Our students spent the last month writing and illustrating their children’s stories and did a fantastic job of presenting them to an enthusiastic audience. Thank you to EMS, and especially to Kate and Ruthie for helping to organize this event. We look forward to visiting again next year!